The situation in Donbass will stabilize and effectively Ukraine is going to be a federal state, said James Petras, Professor at Binghamton University. 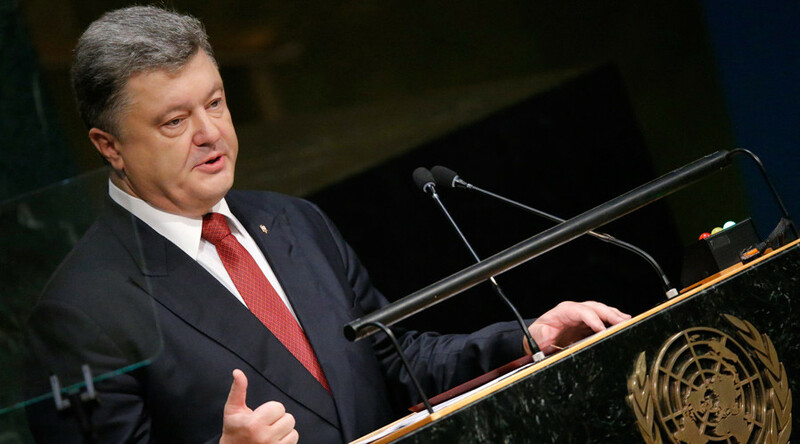 Efforts by Poroshenko to mobilize world opinion against Russia at the UN were a total fiasco, he added. RT: The Donbass region has seen its calmest period since a rarely respected international ceasefire agreement was signed last February. How will the agreement’s fate change tomorrow? James Petras: It is very difficult to tell because at this moment the US is totally embroiled in the Middle East. And the government in Ukraine, especially in the Kiev region, is in a terrible economic quagmire at this time. And the Europeans are very much upset with the sanctions against Russia. So, the problem in Ukraine today is the strength that the right… is exercising on the government, and the attempts by Poroshenko to mobilize world opinion against Russia at the UN were a total fiasco. So, I think the situation in Donbass will stabilize. I think effectively we are going to get a federal state in the process. And I think the extremists in Kiev will have a difficult time mobilizing international support and any kind of major military operation. RT: What do you think about President Poroshenko’s position in the government right now, is it still sustainable? JP: I think President Poroshenko is very vulnerable and weak… and discontent with the economic conditions for the majority of people in Kiev is increasingly hostile. I think that Poroshenko has no domestic foundations to sustain his rule. The question is who will replace him. And here there is so much in-fighting and jockeying for power that it is difficult to see any particular leader emerging in a strong position. Poroshenko doesn’t really know what he wants because he is failing on all sides: he is attacking Russia… he hasn’t been able to put together a development strategy to get out of the recession; he doesn’t have strong military support. I think Poroshenko will stay on by default, not because he is a strong president, not because he has a viable foreign policy, but because no one else is around that can actually implement an alternative program. RT: The atmosphere at the United Nations General Assembly showed both Ukraine and Russia remain deeply divided on how to resolve the conflict in the Donbass. Why hasn't a solution been found after such a long time? JP: I think the solution has been illusive because the US has been prompting Poroshenko to continue to put pressure on the Eastern provinces. And I think the efforts have failed. I think Russia is not going to abandon Donetsk and Lugansk. I think the experience thus far is that the situation has more or less stabilized, and I think people are beginning to return to their homes. And I think the refugee issue is less acute than it was one or two months ago. So I think the solution is by the status quo. I think a solution would be accepting greater autonomy for the east [Ukraine] and less militarism in the west [Ukraine]. I think the basic issue that Poroshenko should be paying attention to is how to revive a moribund economy, rather than extending a bankrupt treasury by continuing to fund an unending war. Russia is not going to retreat; the Donetsk and Lugansk people are not going to surrender to the west. And I think the reality dictates the acceptance of a federal state.